Go Speed Racer! Go! Feel the rush of the Mach 5 with this ultra cool oversized Peel and Stick Wall Graphic inspired from the Blockbuster movie. 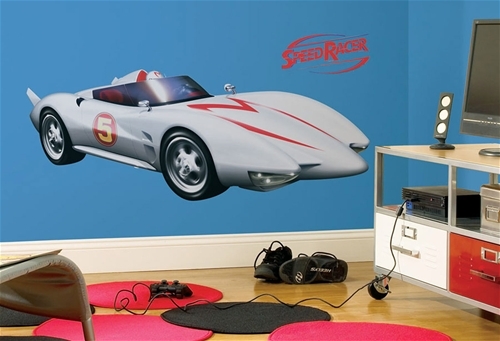 Make sure to check out the coordinated wall stickers and self-adhesive border to totally immerse yourself in Speed Racer mania. DisclaimerSPEED RACER MOVIE: © Warner Bros. Entertainment Inc. SPEED RACER: ™ Speed Racer Enterprises, Inc.